Note: It is assumed that you have already created your slideshow and added some photos. Learn more about placing a slideshow in the publication. 1. 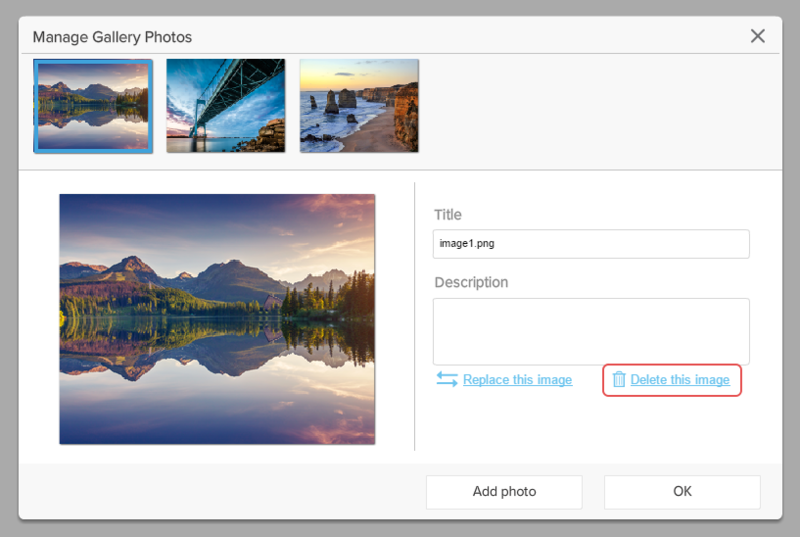 Select the photo you wish to delete and click the Delete this image button. 2. When you're done click the OK button and save your page!